Facebook has been the top social networking community for the past couple of years. It has millions of members and still has some upside. In the past few weeks, we have seen the rise of Google+. It is no wonder that the Facebook team is more determined to introduce new, useful products to stay ahead in this business. 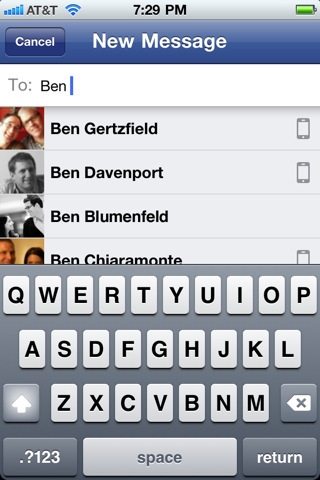 Facebook Messenger is a free tool that lets you message your friends right on their phones. Facebook Messenger is integrated with Facebook messages and chats, so you can keep track of all your conversations on your phone. 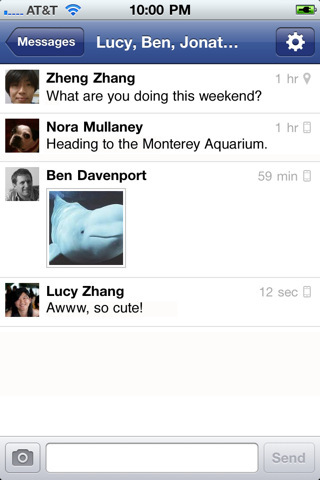 Users can message their friends one by one or engage in group conversations. This application handles both your Facebook contacts and anyone else you may have stored on your phone. Your contacts will receive your messages in text format whereas your Facebook friends get them on their app or in Facebook messages. Facebook Messenger makes it easier to meet people face to face. It tells you where people are on the map (keep in mind others can see your location too as long as you do not turn it off). All your conversations are saved for future references which is quite helpful. 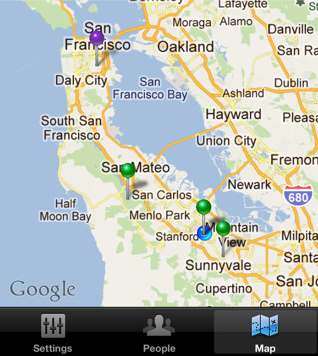 Facebook Messenger is a handy tool for anyone addicted to Facebook. It is not earth shattering by any means but does make Facebook messaging on mobile phones more convenient.